Your sense of community starts when you move onto campus and lasts a lifetime. Come build a boundless future in one of Detroit Mercy's three residence halls where you will grow personally while making lifelong friends. 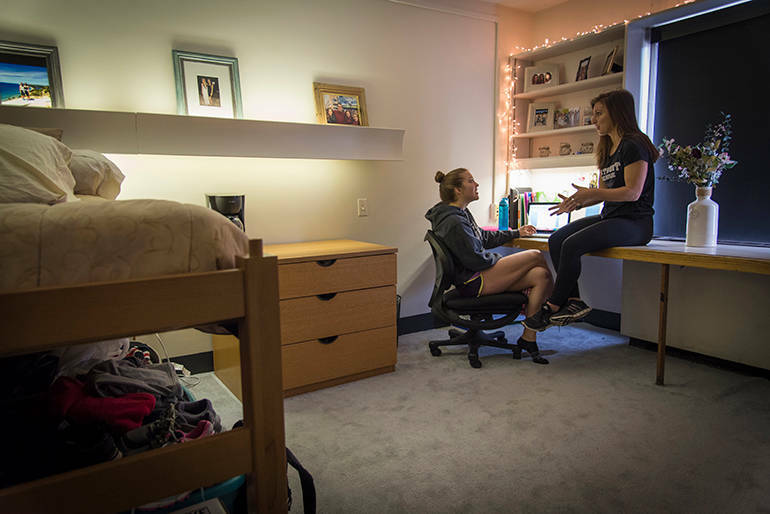 Create your home at University of Detroit Mercy in one of our three residence halls. Living on campus gives you opportunities that can make your college experience more memorable and successful. Live among the friends you will create and have the rest of your life. 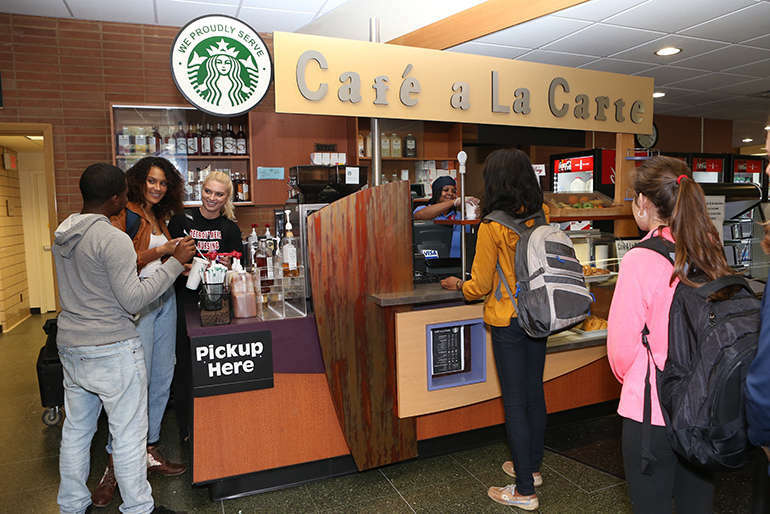 Whether it's a fresh coffee at Ground Coffeehaus, a smoothie after a workout at the Fitness Center or an all-you-can-eat meal at the Titan Dining Room, finding food and refreshments on campus is quick and easy. All students who will be living in the residence halls must have documentation of health insurance.